We invite you to contact our company to find the right pump solution for your needs. 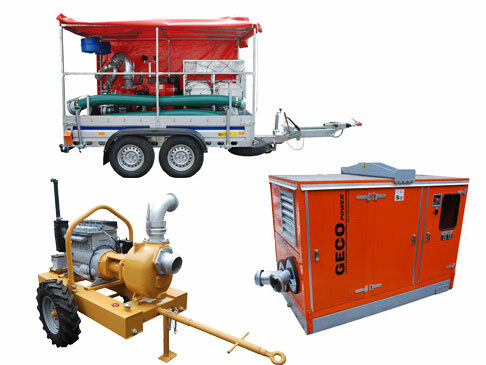 We cooperate with many manufacturers, we have a wide portfolio of pumps for various applications (wellpoint filters, sewage, flood, irrigation), complete sets of transport pumps with accessories. The reliability of the solutions is confirmed by our references. Please contact us by phone, mail or contact form. Further information may also be provided – expected fuel tank size (how many hours pump should be able to work without refilling ), estimated hours worked per year, engine brand preferences, etc. We have a lot of experience in the selection and delivery of pump units, allowing us to choose the right units for your needs. In addition to standard ‘catalog” units “from the catalog”, we are able to offer you custom solutions tailored to your needs, with non standard configurations.